January: a month universally disliked. For 31 days, the sky remains a dark, stubborn grey; a cloudy mourning gown for the Christmas just passed. The liqueur-flavoured chocolates that nobody likes continue to haunt your cupboard, and the freedom of the holidays are replaced by the weight of routine and a 10pm bedtime. I once heard January compared to a damp, cold flannel that you find lurking in the bathroom; a little bit stale and bleak. If January were a person, I imagine they wouldn’t have many friends. Except, I’ve always liked January. As soon as the Christmas tree is down and the pine needles hoovered up, I feel ready – revitalised for the new year ahead. Perhaps it’s the half bottle of Shake’n’Vac I put down while hoovering up the last of that tree, but I always find January a refreshing month. It’s a time to take a breath, look forward and start planning, all whilst surrounded by the delicate scent of Magnolia & Vanilla. This year, perhaps more than ever, we’ve felt a real sense of optimism: looking 2018 firmly in the eye and deciding what it is we want from it. This has in part been inspired by our friend Monica from The Travel Hack, who is encouraging people to set their own blogging goals for 2018. Whilst we definitely have objectives of our own: purposefulness, adding value and a renewed sense of creativity sitting high up the list, we also have one ultimate and very tangible goal: the launch of The Bloggers’ Retreat. When we stumbled into blogging in 2014, we were a little disorientated. Entering the blogosphere was a little like joining a new school: there were already established gangs; friendships; codes of conducts; rites of passage and a lingo we didn’t understand. For a long time, we simply had to watch what other bloggers did, before trying to replicate it. We were like the new girl in a gym class; going for the high kick whilst everyone lowered into a squat, or jogging left whilst everyone went right. It was confusing, a little intimidating and often frustrating. While there are many truly valuable articles across the Internet concerning how to grow and profit from your blog, there are few physical places to go to learn these skills, or to meet others on a similar path. When I began my job in fundraising, I attended a five-day event; immersing myself in the world of philanthropy and, along the way, making lifelong friends. They were people I could give a call if I found myself with a question I couldn’t answer by myself (a weekly occurrence). However, when it came to identifying similar development opportunities for bloggers, I drew a blank. Over the last few months, Twins That Travel, alongside Monica from The Travel Hack, have been working hard to remedy this: organising a series of events deep in the heart of the English Countryside, for both budding and established bloggers. The result? The creation of The Bloggers’ Retreat. Designed to be a welcoming, friendly and supportive haven, the Retreat invites you to leave your shoes and any anxieties at the door, settle down on the sofa and prepare to learn everything there is to know about blogging. Most importantly, the Retreat will include tell-all sessions: advice and insights into how we grew our blogs from small WordPress sites, into profitable, self-sustaining and award-winning businesses. And the best bit? You’ll be surrounded by new friends, also there to support you on your blogging journey. Keen to host the Retreat in a location providing real seclusion, warmth and luxury, we are thrilled to announce that The Bloggers’ Retreat will be run in collaboration with Unique Home Stays, at their phenomenal property: Bohème. 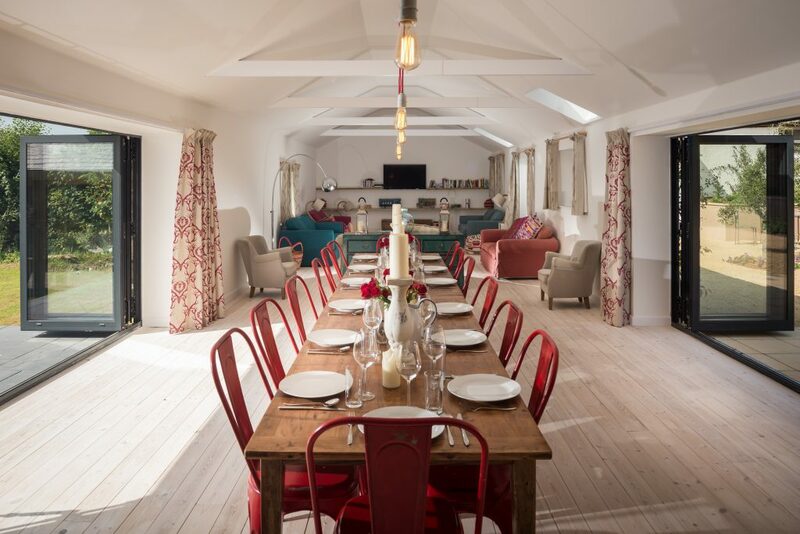 Nestled in rural Somerset, with views of the Quantock Hills, this beautiful barn is the ideal place to escape your normal routine, immerse yourself in your goals and objectives, and of course – relax. 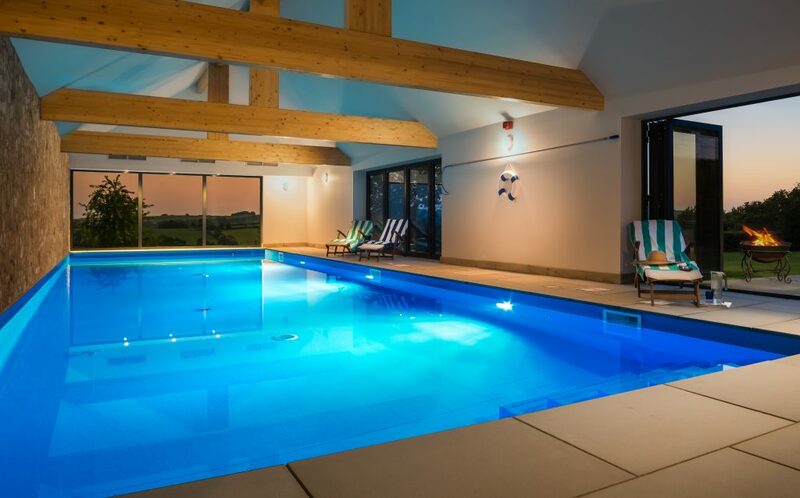 The heated indoor swimming pool and cinema room will (of course) also help get your creative juices flowing! Each retreat will include nine workshops and access to 1:1 sessions with each of us, if you’d like that little bit extra support. Throughout each workshop, we will share with you as much of our own experiences as possible; ensuring you are provided with the most honest insights into full-time blogging possible. Alongside the workshops, we are keen to provide you with hands-on and practical experience of certain elements of blogging. As such, we are therefore thrilled to announce that the Retreat will also run in collaboration with Visit England and Visit Somerset, who will be organising an incredible trip for all attendees. Not only will this be a fantastic opportunity to have some fun, but will provide us with the opportunity to guide you through how we write and review trips; alongside capturing blog and social media content that will not only encourage greater audience engagement, but will capture the eye of other brands. For a limited time only, we’re offering an early bird discount to a limited number of attendees for £500. Before tickets for The Bloggers’ Retreat go on sale on Wednesday 17th January (for now you can join our Facebook group here), we are offering one lucky winner the chance to attend the entire retreat – including two nights’ accommodation at Bohème – entirely for free. 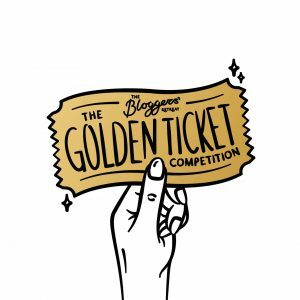 It’s our very own golden ticket! Write a blog post about your blogging goals for 2018, mentioning within the blog that this is part of your entry to win a place at The Bloggers’ Retreat. Share the blog post on social media using the following line: ‘My blogging goals for 2018, and why I want to attend The Bloggers’ Retreat’. The hashtag #thebloggersretreat must also be used. The competition closes at midnight on Tuesday 16 January – good luck! This competition is now closed! To purchase your Bloggers’ Retreat ticket, please head to our website. "Episode Nine: Who are Twins That Travel?" "Episode Ten: The Realities of Self-Employment"
Your description of January was hilarious, and as for feeling like the new girl at a gym class – that is exactly what it is like! As lovely as everyone in the blogging world appears to be, you can’t help but still feel very out of place. The Bloggers’ Retreat is a fantastic idea and I love the fact you are holding a competition too. Looking forward to reading all the entries! I hope it’s a success and you all enjoy! !